Halloween came early for us this year. 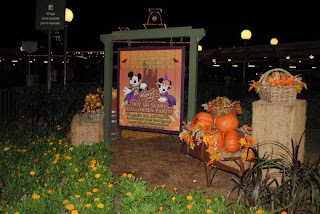 In fact it occurred in the midst of our National Conference at Walt Disney World Resort on Tuesday, October 16th. Following a day of meetings, it was time to unwind in the Magic Kingdom. Tropical Storm Rosa has formed well offshore Mexico and isn't a threat to land at this time. 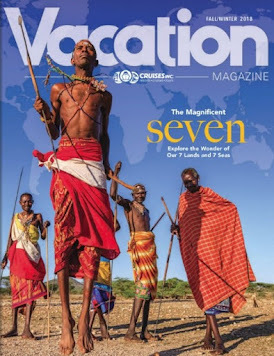 Once again, National Cruise Vacation Month coincided with our annual National Conference which this year was titled: Creating Magical Memories 2012. The conference began at the Walt Disney World Resort in Orlando, Florida and continued with a Bahamas cruise on Disney Dream, one of the newest ships in their fleet. Following the conference, we extended our stay with a cruise on Carnival Sensation, also sailing from Port Canaveral, Florida. We had a short drive from one pier to another to get to our second ship. The magical memories start when you see the first glimpse of your ship as you approach the pier. All the anticipation has quickly become a reality. Now that we are back home, we've begun sorting through all the pictures and videos and have started posting some of them on our Facebook Fan page. You'll want to become a fan so that you'll be notified of our updates. Since our return, we've been kept quite busy with all the changes to cruise ship itineraries and even cancellations due to the very powerful hurricane. Had our cruise been one week later, we too would have been impacted since both Disney Dream and Carnival Sensation had their itineraries altered. 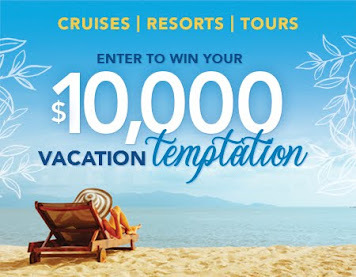 National Cruise Vacation Week was the peak of the month-long cruise celebration, but there are still a few days left on some of the cruise line offers. We'll use Disney Dream and Carnival Sensation cruises, which we've just completed, as another vehicle to demonstrate differences between cruise lines and ships. 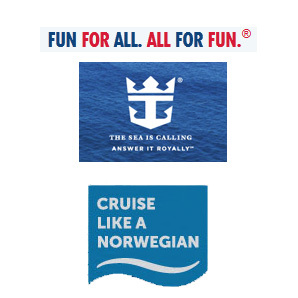 Both are fantastic short cruises for first timers or experts wanting to visit the Bahamas. Oct. 28 at 1302 UTC (9:02 a.m. EDT). 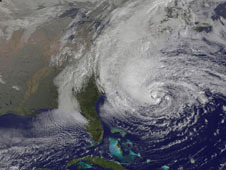 Hurricane Sandy started as a Tropical Storm near Jamaica causing Hurricane and Tropical Storm Watches and Warnings to be posted. Sandy called on Jamaica and Cuba and set sights on the Bahamas. It is now unleashing its fury along the Eastern Coast of the United States. 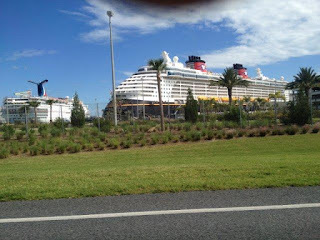 We are now back from our Disney Dream and Carnival Sensation cruises in the Bahamas. 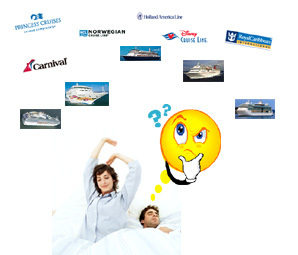 The next sailings for both of those ships were been impacted by Hurricane Sandy as well as many others. 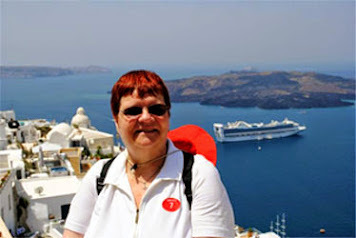 We have posted the links for the cruise lines and will continue to update this page with updates. Weather conditions Tuesday in Nassau were overcast, cooler than it has been, with a good breeze blowing. The storm didn't impact our trip. On Wednesday, we had a mix of sun and clouds with warmer temperatures. The seas had been full of white caps all day and we were rocking a bit heading back to Port Canaveral. This storm is going into the record books for sure. Notice that this is the first hurricane that I can recall that had SNOWFALL as a possible hazard. This is quite serious - if you are in the area, please head the warnings by your local governments. CARNIVAL SENSATION – 10/28/12 DEPARTURE – NOW SCHEDULED TO SAIL ON 10/29/12 The Carnival Sensation is experiencing a significant delay due to rough weather conditions caused by Hurricane Sandy. Our scheduled 4 day cruise will now operate on Monday as a 3 day cruise. Check-in for your cruise will take place on Monday, October 29 from 11:00AM – 2:00PM and sailing is set for 3:00PM. Please do not proceed to the cruise terminal today. • Gratuities will also be adjusted to reflect the shortened voyage. 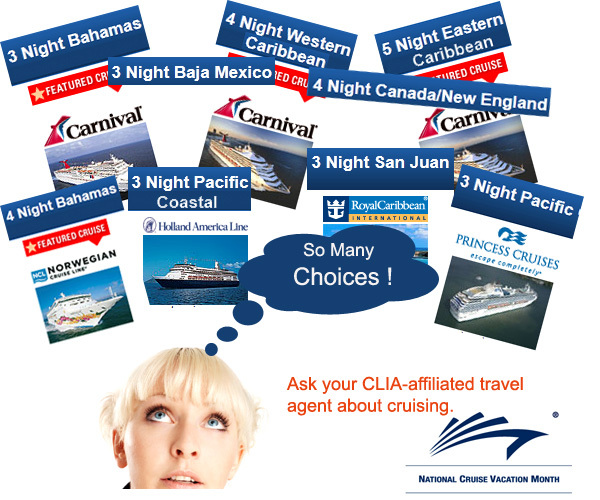 For further updates, text CCL6 to CRUISE (278473). We sincerely regret the inconvenience this has caused. However, please do not proceed to the cruise terminal today. For updates, text CCL4 to CRUISE (278473). CARNIVAL DREAM – 10/27/12 DEPARTURE NOW SCHEDULED FOR SUNDAY 10/28/12The Carnival Dream is now scheduled to dock in Port Canaveral on Sunday, October 28. Our scheduled 7 day cruise will be shortened to a 6 day cruise visiting Cozumel, Belize and Costa Maya. Unfortunately, this means we will cancel our call in Isla Roatan. 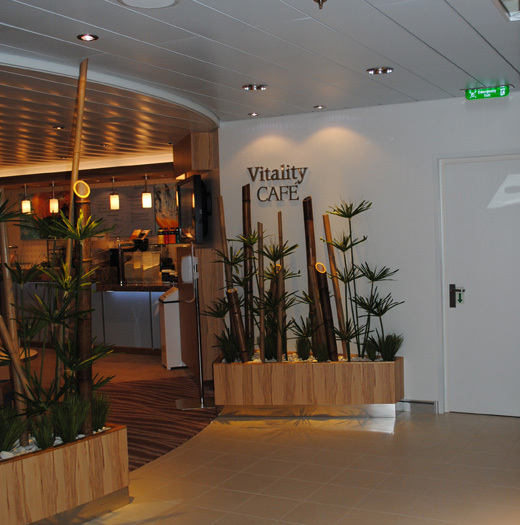 Check-in for your cruise is now scheduled on Sunday, October 28, 2012 from 1:30PM to 3:30PM, and sailing is set for 4:00PM at Terminal 6. For updates, text CCL2 to CRUISE (278473). CARNIVAL ECSTASY – 10/27/12 DEPARTURE NOW SCHEDULED TO DEPART 10/28/12The Carnival Ecstasy is now scheduled to dock in Port Canaveral on Sunday, October 28. Our scheduled 5 day cruise will be shortened to a 4 day cruise visiting Nassau and Freeport. Unfortunately, this means we will cancel our call in Key West. Check-in for your cruise is now scheduled on Sunday, October 28, 2012 from 11:00AM to 3:00PM, and sailing is set for 4:00PM at Terminal 3. For updates, text CCL3 to CRUISE (278473). 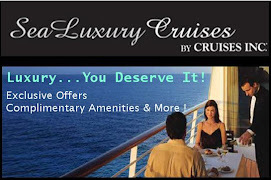 Guests will be provided with a full refund (within two weeks to the form of payment) and a 25% future cruise discount. Parking expenses will be refunded as they leave the parking facility. Should guests need a hotel room for this evening, please have them contact a Guest Logistics team member in the terminal. We will also cover $30 per person for dinner this evening. Receipts to be submitted to guestcare@carnival.com. Potential of a delay in the boarding process should the wind conditions prohibit the ship from safely navigating the channel in Port Canaveral on Saturday morning. Check DCL website or call 1-866-858-7416 on Saturday morning for updates and port operation hours before traveling to Port Canaveral. Thirteen-day Atlantic Coast cruise that departed Quebec on Oct. 14, with scheduled arrival in Fort Lauderdale on Saturday, Oct. 27. The ship is now alongside at a cargo pier in Jacksonville, Florida, having arrived at approximately 3:00pm today. Changing conditions necessitated routing to Jacksonville rather than the originally scheduled Ft. Lauderdale or Port Canaveral alternative that was anticipated yesterday. Guests on this sailing will disembark tomorrow, October 27. Complimentary motorcoach transportation will be provided to guests to the Fort Lauderdale airport, Miami International Airport and the Port Everglades cruise terminal in Fort Lauderdale. Motorcoach transfer between Jacksonville and Fort Lauderdale will take approximately six hours. We are working with those guests who booked their air through Holland America Line to make arrangements for any affected flights. Embarkation for this cruise will now be done in Jacksonville, Florida. This cruise will not be embarking at the Port Canaveral alternative as anticipated yesterday. Complimentary motorcoach transportation will be provided to Jacksonville from Port Everglades cruise terminal #29. The first coach will depart at 11:00am and the last coach will depart at 3:00pm. Guests who arrive at the Ft. Lauderdale or Miami International airports will be directed to transportation to the pier, from where they will depart for Jacksonville. Calls are currently being made to guests booked on this sailing. Departure time and revised itinerary for this sailing will be finalized based on weather conditions. Guests onboard will be kept apprised. 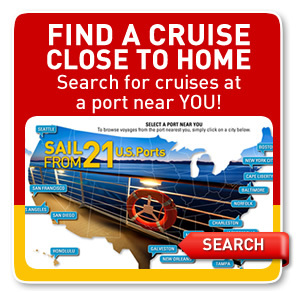 For guests who live in the region and would like to arrange their own transportation, they can go to Jaxport Cruise Terminal, 9810 August Drive in Jacksonville between 4:00pm and 7:00pm. However, please be advised that the cruise will end in Ft. Lauderdale as originally scheduled, so any guests leaving their car in Jacksonville will need to make their own arrangements to retrieve their vehicle after the cruise. Passengers joined Ruby Princess on Sunday October 28. As we previously communicated, we made the decision to cancel our call to Princess Cays. As Princess Cays is a tender port, the predicted strong winds and high seas will make it impossible to carry out a safe tender operation. We do not anticipate any additional changes to our itinerary due to Hurricane Sandy. While we make every effort to sail our itineraries as originally planned, the safety and security of our passengers and crew is our highest priority and this decision, while disappointing, is necessary. Monarch of the Seas will call to CocoCay, Bahamas, on Thursday, November 1, instead of on Tuesday, October 30, as originally scheduled. AND SOUTH OF CHINCOTEAGUE TO EXTREME NORTHEASTERN NORTH CAROLINA. FLORIDA AND THE FLORIDA KEYS TONIGHT OR EARLY WEDNESDAY. THE CENTER. STEADY WEAKENING IS FORECAST DURING THE NEXT 48 HOURS. MPH...ALONG THE COAST OF NORTHERN NEW JERSEY WITHIN THE PAST HOUR. MID-ATLANTIC STATES FROM VIRGINIA NORTHWARD THROUGH NEW ENGLAND. Will arrive in Port Canaveral October 26 and will terminate there on October 27, rather than go on to Fort Lauderdale as scheduled. Complimentary motorcoach transportation will be provided to guests with flights out of the Fort Lauderdale airport or Miami International airport. All others will be transferred to Pier 29 at the Port Everglades cruise terminal in Fort Lauderdale. Motorcoach transfer between Port Canaveral and Fort Lauderdale will take approximately four hours. Those guests wishing to disembark the ship on October 26 were able to do so between 9:00 a.m. and 11:00 a.m., per U.S. Customs and Border Protection. Eurodam's next cruise, scheduled to depart on October 27 from Fort Lauderdale, will leave from Port Canaveral instead and the departure time has been pushed back until 10:00 p.m. Embarking guests will be met at Pier 29 at the Port Everglades cruise terminal in Fort Lauderdale for motorcoach transfer to Port Canaveral. 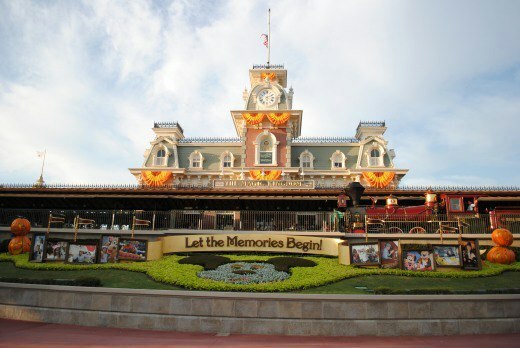 The first coach will leave at 11:00 a.m. and the last coach will depart at 3:00 p.m. Guests who arrive at the Fort Lauderdale or Miami airports will be directed to transportation to the pier for transfer to Cape Canaveral. Guests are encouraged to arrive at the pier between 11:00 a.m. and 2:30 p.m. The cruise will end November 3 in Fort Lauderdale as originally scheduled. The Carnival Dream is now scheduled to dock in Port Canaveral on Sunday, October 28. 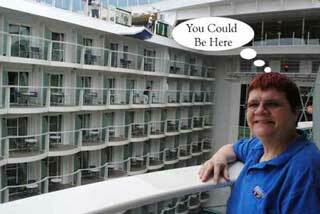 Our scheduled 7 day cruise will be shortened to a 6 day cruise visiting Cozumel, Belize and Costa Maya. Unfortunately, this means we will cancel our call in Isla Roatan. Check-in for your cruise is now scheduled on Sunday, October 28, 2012 from 1:30PM to 3:30PM, and sailing is set for 4:00PM at Terminal 6. For updates, text CCL2 to CRUISE (278473). The Carnival Ecstasy is now scheduled to dock in Port Canaveral on Sunday, October 28. Our scheduled 5 day cruise will be shortened to a 4 day cruise visiting Nassau and Freeport. Unfortunately, this means we will cancel our call in Key West. Check-in for your cruise is now scheduled on Sunday, October 28, 2012 from 11:00AM to 3:00PM, and sailing is set for 4:00PM at Terminal 3. 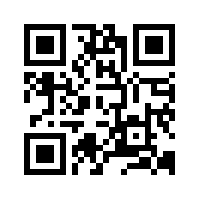 For updates, text CCL3 to CRUISE (278473). Called on San Juan (October 24) but will skip the remaining two ports, remaining at sea until it returns to New York on October 29. Swapped out two Caribbean island stops (Grand Cayman and Montego Bay) replacing them with Costa Maya (October 24) and Cozumel (October 25) in Mexico. Will remain at sea on October 25, rather than stop in Freeport, Bahamas as originally scheduled. will remain at sea on October 26 and stop in Key West on October 27, rather than stop for two days in Nassau, Bahamas as originally scheduled. Carnival Pride also will forgo two stops, both in the Bahamas (Half Moon Cay and Freeport) in favor of a day at sea (October 25) and Port Canaveral (October 26). Carnival Glory called on Nassau (October 24) as scheduled but did not overnight or spend a second day in port, instead departing the Bahamas and spending a day at sea (October 25). Glory will then visit Port Canaveral (October 26) instead of Freeport. Swapped from its scheduled Montego Bay, Jamaica, to Grand Cayman to Cozumel, Mexico route. The ship called at Key West (October 23) spent the day at sea (October 24), Costa Maya (October 25), then on to Cozumel. Replaced a call on Falmouth, Jamaica (October 24) with a day at sea. Norwegian Gem will cancel its call in Samana, Dominican Republic, on Friday, and will proceed to New York to arrive as scheduled on Monday. Changed to Cozumel (October 24) and Costa Maya (October 25) rather than Ocho Rios and Grand Cayman. Rescheduled stops at Freeport, Bahamas (October 24) instead of Great Stirrup Cay, and Charleston, South Carolina (October 26) instead of Nassau, Bahamas. UPDATE: Norwegian Jewel will now call in Norfolk, Virginia on Friday (instead of Charleston, South Carolina), returning to New York as scheduled on Sunday. Skipping its stop at Great Stirrup Cay (October 25) and will instead spend an extra day at sea. UPDATE: Norwegian Sky is spending the day at sea today and is expected to have a delayed arrival into Miami on Friday, October 26 at approximately 9 am. Embarkation for the ship’s three-day cruise will now begin at 2 pm. We ask all embarking guests to please arrive at the terminal no earlier than 2 pm. The ship’s departure is now scheduled for 7 pm. Skipping scheduled visit to Bermuda (October 29). The line is currently looking for a port to the North as a replacement. 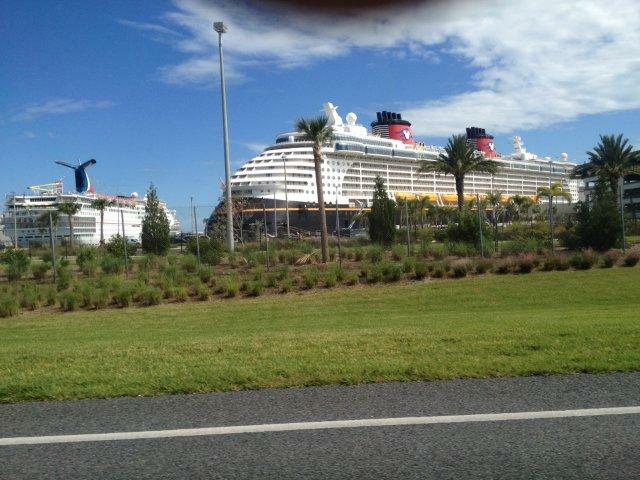 Will depart Port Canaveral as scheduled, but will spend October 26 at sea, rather than stop at Castaway Cay. If weather permits the ship will call on Nassau(October 26) as scheduled. 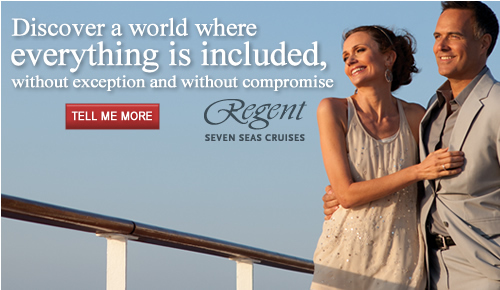 Will replace its Castaway Cay visit (October 25) with a day at sea. 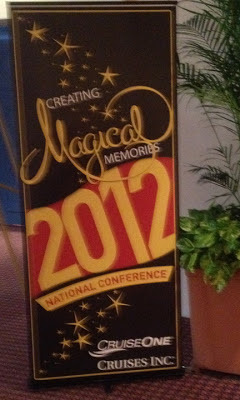 Our 2012 Creating Magical Memories National Conference kickoff was a Welcome Reception at Disney's Epcot Center. Disney Cruise Line buses picked up the 700 conference attendees at Coronado Springs and whisked us away the back way into Epcot. We had a fantastic buffet meal and then were greeted by executives of various Disney Destinations organizations including Disney Cruise Line of course. Wandering around the room, we wondered where they dessert was hidden. We soon learned that we would have dessert outside in a private area of Epcot that had an excellent view of the spectacular nighttime highlight IllumiNations. We had a short walk from the banquet room to the dessert stations. The first table had various pastries such as eclairs. Walking a little further we found two Epcot employees making fresh churros, sometimes referred to as a Spanish doughnuts. Complementing the fried-dough pastries there was brown sugar coating and vanilla ice cream. These soon became the hit of the party as more and more agents discovered them. Seen from anywhere in Epcot with a view of the World Showcase Lagoon, IllumiNations: Reflections of Earth is a spectacular 14-minute, live pyrotechnic show that brings together the past, present and future of our planet and its colorful nations. The show features breathtaking fireworks, brilliant bursts of fire, laserlight effects, dramatic fountain barges, a stirring musical score, first introduced in 1999 for the Millennium Celebration, and the world's first spherical video display system—the 350,000-pound Earth Globe. The show can be intense for young audiences, so be sure to select a viewing location with that in mind. It wasn't long before the announcements began, warning that the lighting would be dim during the show and encouraging everyone to find a location and plan on staying there for the duration of the entire show. We've seen the show before, but never from this private vantage point. This is a show that you never grow tired of seeing. When planning your day at Epcot Center, we'd suggest that you conclude your visit in World Showcase, perhaps with dinner in one of the authentic restaurants of a country that you'd like to visit. After dinner complete your visit to the other countries and head over to the lagoon to select your spot for the show. Have you ever wondered what it is like behind the scenes at Epcot Center? Check out our album on Facebook to get a glimpse behind World Showcase as well as some images from the show. Each October, we attend our National Conference which is typically hosted by one of our partner cruise lines. This year, Disney Destinations was our host. 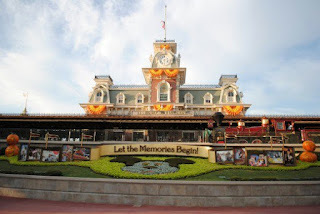 Our conference began in Walt Disney World Resort and continued on Disney Dream. As with any conference, there were general sessions, breakout meetings, opportunities to network, special events, and of course, opportunities to enjoy all the venue itself had to offer. In the case of Disney Destinations, that is quite a lot. Come along with us on a Magical Journey through Walt Disney World parks and then sail away with us to the Bahamas on Disney Dream. The closest airport to Walt Disney Worlds Resort is Orlando International Airport (MCO). 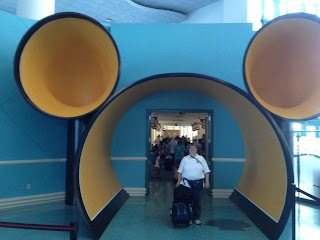 The airport is about 40 miles from the Disney resort. Guests staying at Walt Disney Resort hotels can utilize Disney's Magical Express bus transportation from the airport to the hotel. We didn't use their transportation because our son had driven to Florida and picked us up at the airport. 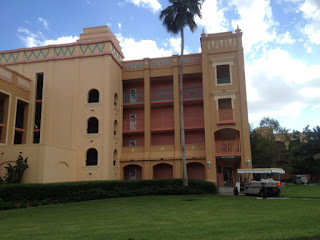 Once on Disney property, we headed towards our hotel to check in. The conference headquarters hotel was Coronado Springs which also has conference facilities like many of the other hotels on Disney property. The first event for the conference would be in the evening. Bus transportation was arranged to take us to Epcot Center for our private function (more on that in another article). Meanwhile, we decided to get something to eat, so we headed to Downtown Disney to check out the restaurants there. 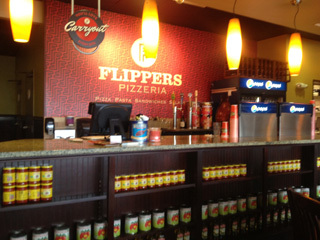 We selected one of their specialty pizzas with all the toppings. We all enjoyed the pizza very much. Tropical Storm Paul is south of Baja California and growing in strength. It is expected to become a hurricane on Sunday and make landfall mid-week. If you will be in this area, you should monitor its progress. PAUL IS EXPECTED TO BECOME A HURRICANE BY SUNDAY. Tropical Storm Rafael, which formed earlier this evening near the Lesser Antilles, is dumping heavy rain on the region, prompting the United States to issue Tropical Storm Watches and Warnings. Carnival swapped out two Caribbean island stops (Grand Cayman and Montego Bay) from Valor's six-night sailing, replacing them with Costa Maya (October 24) and Cozumel (October 25) in Mexico. Carnival Glory will call on Nassau (October 24) as scheduled but will not overnight or spend a second day in port, instead departing the Bahamas and spending a day at sea (October 25). Glory will then visit Port Canaveral (October 26) instead of Freeport. Royal Caribbean's Allure of the Seas will replace a call on Falmouth, Jamaica (October 24) with a day at sea. Norwegian Cruise Line also is making changes to some of its itineraries, with Norwegian Pearl visiting Cozumel (October 24) and Costa Maya (October 25) rather than Ocho Rios and Grand Cayman. Norwegian Jewel is stopping at Freeport in the Bahamas (October 24) instead of Great Stirrup Cay, and Charleston, South Carolina (October 26) instead of Nassau in the Bahamas. Norwegian Sky will skip its stop at Great Stirrup Cay (October 25) and will instead spend an extra day at sea. Disney Dream will depart Port Canaveral as scheduled on October 25 but will spend October 26 at sea, rather than stop at Castaway Cay. If weather permits the ship will call on Nassau on October 26 as scheduled. Disney Fantasy, which is currently sailing a seven-night cruise will replace its Castaway Cay visit (October 25) with a day at sea. INTERESTS IN BERMUDA SHOULD MONITOR THE PROGRESS OF RAFAEL. AND RAFAEL COULD BECOME A HURRICANE BY MONDAY. PUERTO RICO TONIGHT AND SUNDAY. AND THE VIRGIN ISLANDS THROUGH SUNDAY. IS POSSIBLE IN AREAS OF ONSHORE FLOW IN THE WARNING AREA.